During the last Freedom School class there was a lively discussion about the indigenous Mayan Zapatista rebellion in Chiapas, Mexico. The originally scheduled event for class this Wednesday is rescheduled until May. 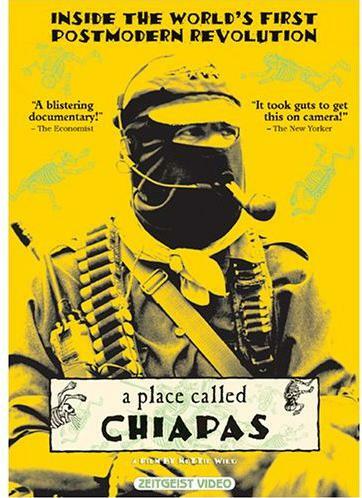 Instead, we will watch the film “A Place Called Chiapas.” The film will be screened at 7:00pm on Wednesday, April 15 at the Mohawk Valley Freedom School. The school is located at 500 Plant Street in Utica. Dinner will be served at 6:30pm. The documentary film was released in 1998. It captures the rise of what the The New York Times called “the world’s first post-modern revolution” in Chiapas. The revolution was launched the same day NAFTA was put into effect on January 1, 1994. The revolutionaries called themselves Zapatistas in honor of the Mexican revolutionary Emiliano Zapata, a hero of Mexico’s 1910 revolution. The Zapatista Army of National Liberation (Ejército Zapatista de Liberación Nacional, EZLN) was organized to spur the revolution forward. Since then the Zapatistas have carved out their own society autonomous from the Mexican state that is based off of principles of collectivism, mutual aid and popular power. Come join us for a great film and an interesting discussion. As always, we will ask ourselves how this struggle is relevant to us and what we can learn from it.